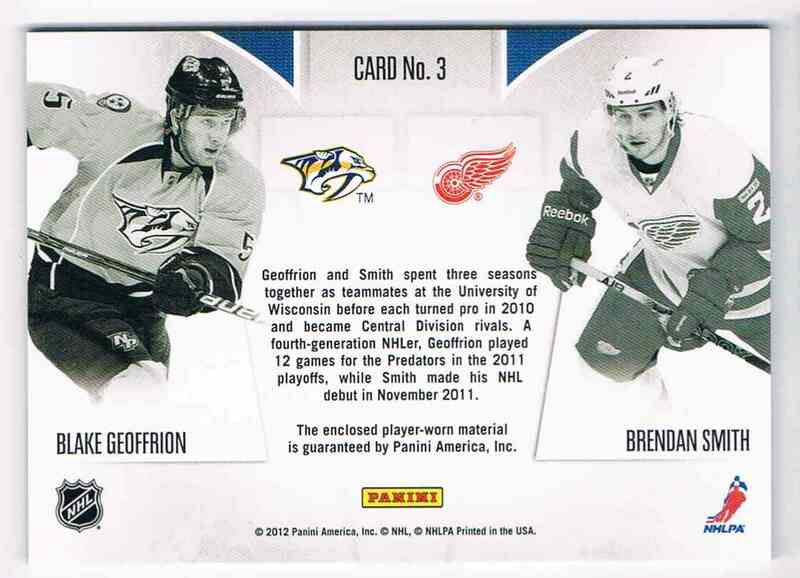 This is a Hockey trading card of Blake Geoffrion Brendan Smith, Nashville Predators Detroit Red Wings. 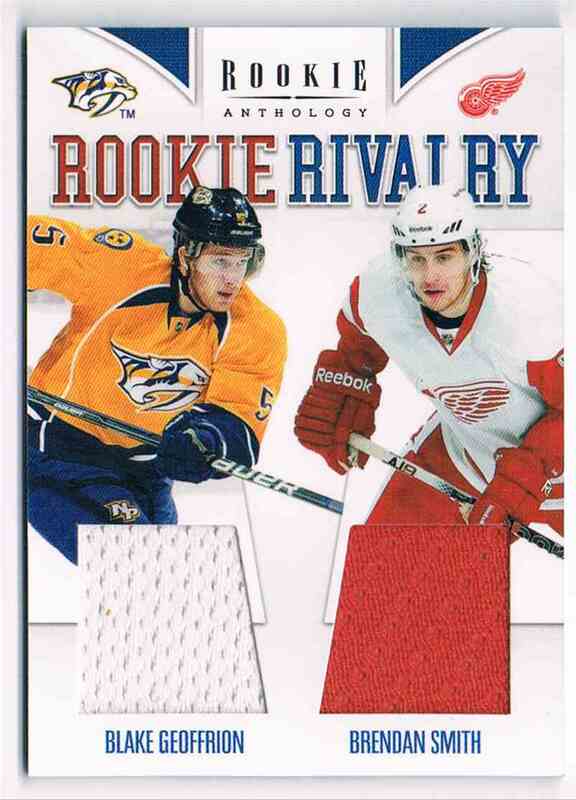 It comes from the 2011-12 Panini Rookie Anthlogy Rookie Rivalry Dual Jerseys set, card number 3, embedded Dual Jerseys 2 Colors. It is for sale at a price of $ 7.00.